Do nasal turbinates prevent common cold? The nasal turbinate is an elongated, thin and bent bone shelf protruding into the nose’s breathing passage. Nasal turbinates partitions the airway of the nose into four air passages. Nasal turbinates force the inhaled air to course in a regular and steady pattern around cilia’s largest surface as well as the tissue that controls the climate. Inferior nasal turbinates– these, being the largest of all nasal turbinates aids in the direction of the airflow, heating, humidification as well as the filtration of the air that is inhaled via the nose. Middle nasal turbinates– these are smaller than inferior turbinates. They are responsible for protection of the nasal sinuses from directly being exposed to the airflow that is pressurized. You need to note that it is between the middle and the inferior nasal turbinates that most airflow inhaled via the nose travels. Superior nasal turbinates– these are even smaller than the middle nasal turbinates. They have nerve endings linking them to middle nasal turbinates. They are responsible for protection of olfactory bulb. Hypertrophy of nasal turbinates is due to enlarged or swollen turbinates. Hypertrophied nasal turbinate symptoms include nasal congestion, nose bleeding, snoring, sinus infections etc. The importance of the nasal turbinates in the respiratory process cannot be gainsaid. There are different roles played by the different types of the nasal turbinates. However, they are all aimed at enhancing the respiratory process, olfaction as well as improving immunological defense. These nasal turbinates have numerous cilia covering them. it is this cilia that protects the body from the irritants and contagions that may be present in the air passing via the nose. They are also responsible for provision of environment in which white blood cells and enzymes that fight bacteria gather and protect the body from infection. They are also responsible for the direction of the air flow. The superior turbinates provides a complete cover as well as protection of nerve axons that pierce via cribriform plate going to the nose. You need to acknowledge that the olfactory nerve innervates some parts of middle nasal turbinates. In addition, temperature and pain receptors innervate all the nasal turbinates. 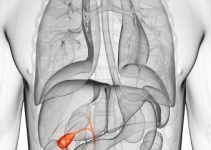 Studies indicate a strong link between the endings of the nerves and the olfactory receptors activation. In the respiratory system, nasal turbinates carry out the infiltration humidification as well as heating of the air that is inhaled via the nose. Air is humidified to have 98% of it saturated by water, heated to temperatures ranging from 32 to 34 degrees centigrade then filtered. Nasal turbinates are also responsible for the increase in surface area inside the nose. By directing as well as deflecting the airflow across optimized inner nose mucosal surface, they have the capacity to push the air. 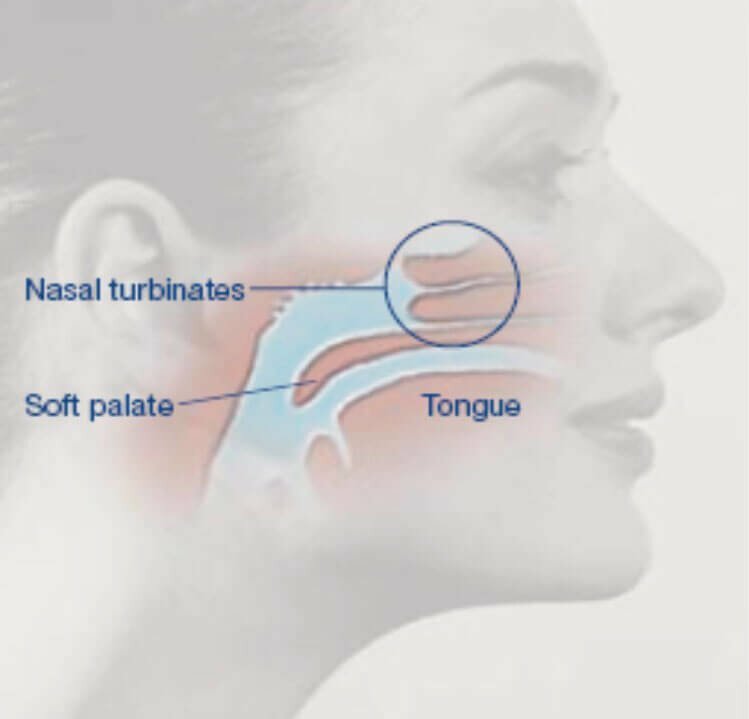 Together with filtration and humidity that the nasal turbinates provide enables the carrying of increased scent molecules into the narrow and higher parts of nasal airways. These are the regions which has the nerve receptors. The nasal turbinates’ erectile tissue is covered by respiratory epithelium which is a key player in the immunological defense of the body. The epithelium is in part made of goblet cells which produce mucus. This is the mucus that traps dust particles in the air flowing via the nose thus taking the role of filtration. This epithelium also allows for access for lymphatic system that is responsible for the protection of the body from viral or bacterial infection. Nasal turbinates are also responsible for the alertness and the health of the olfactory receptors. This is through the provision of humidity that is necessary for the preservation of the delicate epithelium. As you would acknowledge, the respiratory epithelial layer’s functioning would be impaired if they were to be irritated or dry. Drying of this layer would result to persistent anosmia. You need to acknowledge the role played by the nasal turbinates in sleeping mechanism. When sleeping, it is necessary that you turn numerous times in the night in order to prevent pressure sores. However, when you are lying on the left side, the left turbinate would be down and therefore after some time, it would be full of fluid. This leads to its expansion in which case it pushes besides the septum located in midline. This therefore causes you to turn to the other side until it also fills up too and again turns you. This explains the reason as to why you get bed sores and achy muscles if you were to sleep cramped with limitation on turning. There are many factors that result to contracting of common colds. The common belief is that viruses responsible for this spread in winter more easily since people spend increased moments indoors where there is poor ventilation. Of course the reduced sunlight and cold humid weather result in depression which has adverse effects on the immune system’s effectiveness. However, you would acknowledge that there are many individuals who do not get the cold even when they are living in the cold places. Nasal turbinates are responsible for the enhanced functioning of the cilia in the nose which reduce the risk of contracting common cold. Many individuals have experienced dysfunction of the nasal turbinates. This occurs when there is enlarged nasal turbinates thus blocking the breathing of the nose. There are various causes for this. It can be caused by exposure to irritants in the environment as well as allergies. In addition, persistent inflammation of the sinuses and nasal septum deformity would cause the turbinates to enlarge. You would also acknowledge that drugs may also cause the dysfunction. Turbinate dysfunction is mainly characterized by the congestion of the nose. These symptoms will definitely vary in their severity with severe cases necessitating overuse of topical decongestants. However, it would be important that you first identify the predisposing factors that are responsible for turbinate hypertrophy so that you can treat it. In most cases however, common etiologies are inflammatory and infectious causes. As you would acknowledge, turbinate dysfunction is experienced by every individual in varying degrees in their lifetimes. However, half the population experiences persistent nasal turbinates dysfunction. What are the causes of nasal turbinates dysfunction? As you would acknowledge, turbinates incorporate rich supply of blood. They also have a nervous system that is parasympathetic governing them. This therefore implies that if the two systems were to be affected in any way, then the turbines would be affected and consequently the nose. Allergic rhinitis- Nasal turbinate dysfunction is mainly caused by allergic rhinitis. This results from environmental allergens coming into contact with nasal membranes. The contact therefore triggers an inflammation of the nasal turbinates leading to increased drainage and nasal congestion. This is actually the most prevalent cause of the condition. Vasomotor rhinitis- Other causes of turbinate dysfunction are called vasomotor rhinitis. The term vasomotor indicates nasal membranes’ neurovascular control. These causes are non-allergic and include use of antihypertensive and cardiovascular drugs, variation sin the temperature, female hormones as well as disuse rhinitis. Medications- Any medication taken by the patient that is capable of stimulating the parasympathetic nervous system would cause congestion by affecting turbinate mucosa. Progesterone in women also has similar effects in which case they would experience nasal congestion mostly in prior to menstrual cycle or before pregnancy’s third trimester. Condensation rhinitis- Another cause is condensation rhinitis. This is common to the snow skiers mainly due to the nasal membranes’ reaction to cold environment. Disuse rhinitis- As for disuse rhinitis, it is prevalent to people whose airflow does not incorporate the use of noses for example people who overuse nasal decongestants or who have had laryngectomy. What are the symptoms of the nasal turbinates dysfunction? The most common symptom for nasal turbinates dysfunction is nasal congestion. Occasionally, they will experience facial pain, mid-facial headaches as well as discomfort. Less common symptoms include anterior rhinorrhea. Nasal headaches and pressure would occur in instances swollen nasal turbinates causes contact with side nasal wall. This pressure is also reported in the medial canthal areas. Discontinuous blockage of a single nasal passage then the other is commonly reported. Positional congestion would also be prevalent where an individual experiences congestion depending on the side they are lying on. The severity however varies with individuals. Persistent acute rhinosinusitis may occur in cases where the middle turbinate becomes bent or contains sinus thus compromising ostiomeatal complex. This is a very serious condition as it may necessitate surgery on the nasal turbinate if medial management fails. It is however not a very common condition. It would definitely be important that the causes of the nasal turbinates dysfunction be identified before a proper remedy is devised for it. 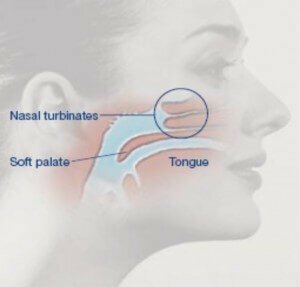 What are the various treatments for nasal turbinate dysfunction? There is a wide range of remedial treatment available for nasal turbinates dysfunction. However, the key to determining the appropriate one lies in the identification of the cause. Allergy testing as well as careful history taking would be important. In cases where the cause of the disorder is medication, it becomes imperative that the medication is substituted. The last resort is definitely nasal turbinate surgery or surgical therapy when there is no response from the patient to the medical therapy. Nasal turbinate surgery is only needed in serious conditions like persistent acute rhinosinusitis. This article was very helpful for me. I just had rhinoplasty due to a deviated septum and the doctor informed me that he also fixed my nasal turbines. I didn’t know what this meant and didn’t ask because I was very groggy. Now that I better understand I will be able to approach him with a little more knowledge on my follow up visit. Thanks! I have been experiencing problems with my left turbibates. I had a CT scan of face & lungs 12/2012. Lungs clear, left turbibates swollen. Saw Dr Andrew Lomas, ENT Brisbane. He suggested no surgery necessary but try capsicum spray. I don’t wish to try spray as worried it may cause more problems. 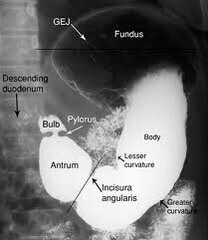 I find that my nasal passages are either blocked one minute, then when a side of nasal passage is clear but it feels “empty/hollow”. Very uncomfortable breathing…feels like there is no resistance or filtering in that ‘clear’ side of passage way. It has caused me to constantly think about my breathing. I tend to hyperventilate; feel the need to take a fulfilling deep breath every few minutes; restless sleep. I try to use my diagram to breath but find nothing works! I did experience bulimia & worried that my turbinates were damaged due to excessive vomiting . Could vomiting cause inflamed turbinates? Winter is approaching & I’m petrified as its worse in colder climate. I play netball & don’t have problem with exercise. Please could u give me any advice? Thank u for your time. I really thought this Article was very informative about Nasal Turbinates..
And I am suffering from the hyper trophy ( Turbinates)…..